Lunchbox: a salad, a quiche or a big sandwich, a dessert. Not available on the weekend. Contact Spacebase one week before to know the menu! For minimum 5 people. Celle-ci ne doit laisser ni trace ni odeur. 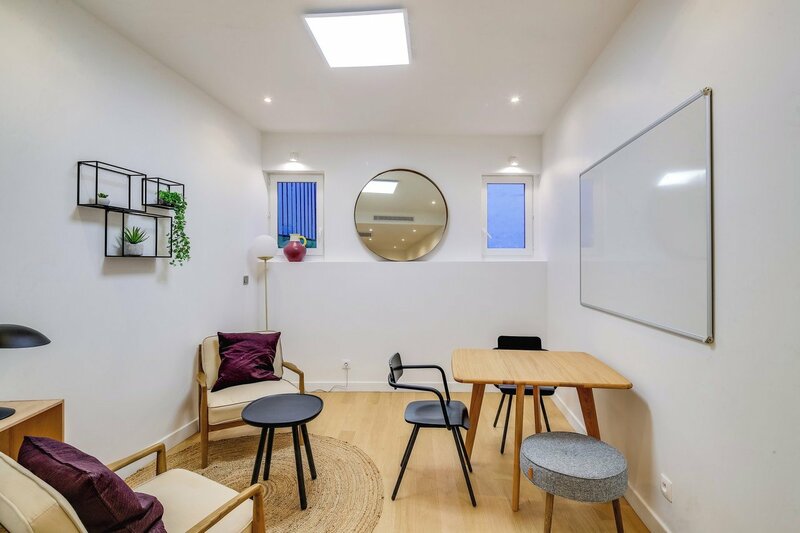 In the heart of the 10th arrondissement of Paris, next to the Strasbourg Saint-Denis metro station, this cozy workshop space benefits will be perfect to host your intimate meetings, coaching sessions, consults or interviews. The warm atmosphere and the convenient access create a great combo, ready-to-work. 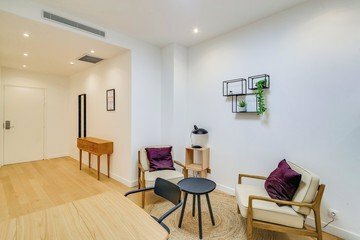 We can guarantee a calm space, the room is oriented to a private yard. The venue is composed of a working area and a lounge area, as well, you will be able to relax aside from your business meetings and others. This space is accessible to wheelchairs (doors: 76,5 cm) which are maneuverable in the sanitary. To ensure everyone's satisfaction, please respect these few things, You will find pens, whiteboard markers, and post-it notes. However, let them here. About punctuality, please make sure to respect the schedule.